Cheverné Duvenage (13), one of the pupils injured in the walkway collapse at Driehoek Hoërskool in February this year, says she’s absolutely ready to recover. Cheverné is now a patient at the Netcare Rehabilitation Hospital in Auckland Park, Johannesburg. She was transferred there last week after spending 53 days in the Netcare Union Hospital in Alberton on Gauteng’s East Rand, where she underwent seven operations. The goal now is to learn how to walk again. 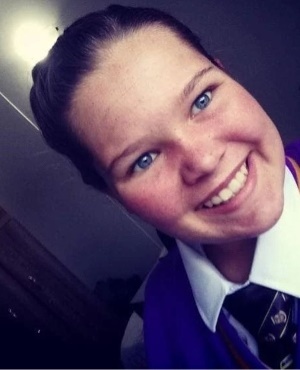 Cheverné is in Grade 8 and was one of 22 pupils seriously injured when a raised walkway at Hoërskool Driehoek in Vanderbiljpark, collapsed on Friday 1 February. She was pinned under the concrete and sustained major injuries to her stomach, especially. Four pupils died in the tragedy. Nicola Senekal, Cheverné’s mom, says she’s grateful her daughter’s showing such good progress on her way to recovery. Cheverné’s stomach lining detached twice after the operations, leaving Nicola seriously worried. “It was a little rough,” she tells YOU over the phone. “I’m hugely excited now. We feel we just want to get the whole thing over and done with. We looked at pictures of the accident this morning . . . Cheverné has started scrapbooking . . . It’s going well,” Nicolas says. She adds the No 1 priority now is for her daughter to learn to walk again and regain her coordination. Cheverné will spend about six weeks in the rehabilitation facility. Meanwhile, they’ll try catching up on a bit of her schoolwork.